Capturing a behind the scenes look at the Daily Announcement. Managing our school’s digital footprint is much more than a one-person job. It is an impossible task to share all the events, activities and learning experiences from a single perspective. That’s where High Point Regional High School’s social media ambassadors come in. The Social Media Ambassador Program is designed to empower students to think critically, behave safely, and participate responsibly in the digital world. The HPRHS social media ambassadors have provided insight into the life of our school and the community. They share real-time snapshots, from a student perspective—an educational tell-all, real-life, high school experience. Our ambassadors welcome you to take an inside look at the compelling world of social media in their role as branding advocates for themselves and their high school. Three years ago, in my role as the high school’s media technology teacher and social media public relations adviser, I shared with my administrators a vision of using our social media platform to provide the community a student-eye view of our school. We needed young people who would maintain a personal and professional presence on various social media platforms. We needed connected voices to drive engagement among online audiences. We wanted a broader scope with firsthand optics. We needed our students! Our administrators and I agreed to entrust our students with the development of our school’s digital footprint, but we also understood that a system would need to be put in place to monitor their online presence. A team of administrators, students and I established the guidelines, key responsibilities and training requirements for the social media ambassadors participating in the program. Taking a closer look at forensic science. We agreed that the ambassadors would be active advocates for the institution through both personal and high school branded social media accounts. They would be expected to act professionally, keeping in mind that they are representatives of themselves and their school (e.g., appropriate language, pictures, videos, etc.). The ambassadors would be required to abide by the school’s policies as outlined in the board of education’s Social Media Policy, the Student Handbook and a signed Student/Parent Social Media Ambassador Agreement. The school would reserve the right to remove, replace or delete the accounts of any student who was unable to comply. Eighteen students jumped into the pilot program. The program was informed by a National Federation of State High School Associations online course titled “Social Media for Students,” by the nonprofit organization Commonsense Media and several online training resources for Twitter, Facebook, Instagram, and YouTube. Each student was set up with a Twitter account, which I monitored using TweetDeck. We started simply with two tweets per student, per week. As we dissected, discussed, and evaluated our online contributions, the students learned how to be a portal of positive, engaging information for themselves, the school and the community. The ambassadors used this opportunity to support the school’s teams, events, classroom learning experiences and their developing brand. They found power in a mention (@), a hashtag (#), a retweet (RT) and a follow that connected their experience to the world. Our ambassadors have evolved into mass communicators by sharing over 23,000 informative and forward-looking moments. 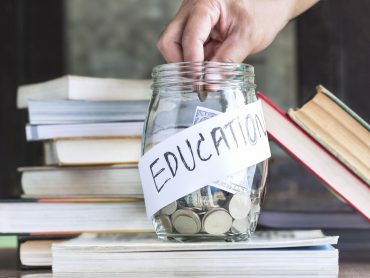 One of the most common questions that school districts have asked us is, “How are you generating so much online social media content?” Our answer? Trust your students, encourage their engagement and provide a platform for their experience to be told. 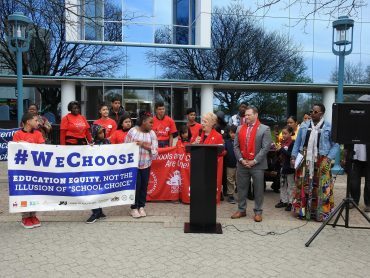 “We’ve been empowered to control our school’s image in the public eye and share the many positives that this school offers,” said Robert Zweesaardt, a senior. • What type of digital footprint is being established? • What are the goals of social media communication? • Will we be exposed to risk? • Will you believe in your students’ ability to communicate and convey information? Presenting at the Frankford Middle School Community Digital Citizenship Event. Given the opportunity over the past three years, our ambassadors have evolved into mass communicators by sharing over 23,000 interesting moments and exciting events. They understand that they are speaking into a global microphone that reaches far beyond the classroom. At the core of our program, they provide an inside look from the student’s perspective on the high school experience. Our ambassadors are also models of effective and appropriate social media behavior. 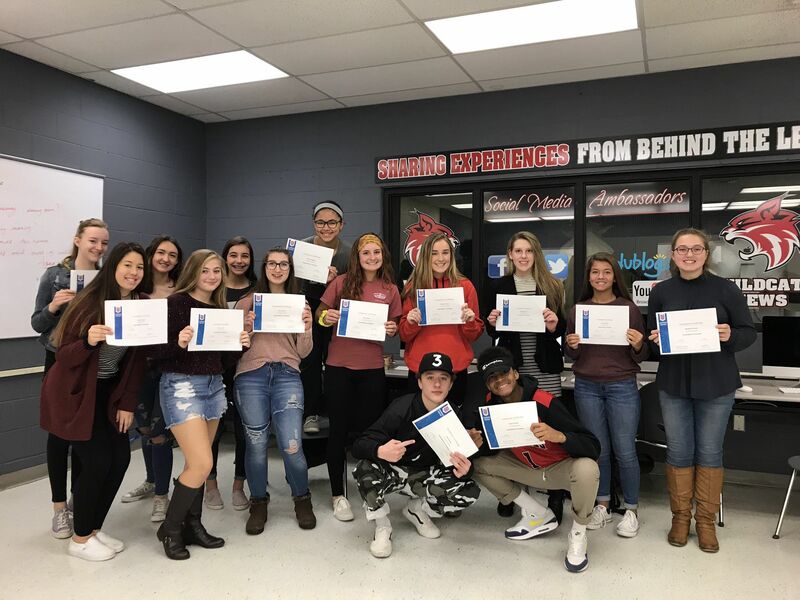 Their participation in a live podcast by Smart Social’s Josh Ochs provided invaluable insight into developing responsible social media habits that they ultimately share with the school community. 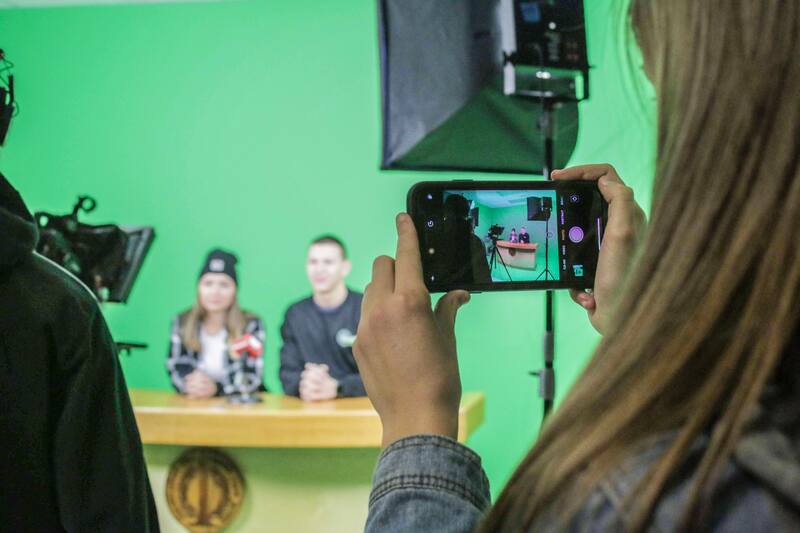 With a background in marketing from Disney, Ochs teaches students around the country how to create a positive online presence. 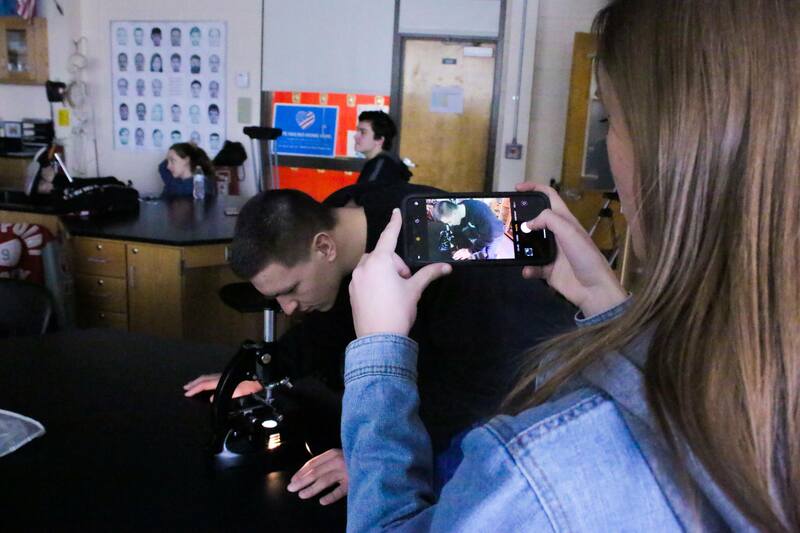 “Our social media ambassadors have revolutionized the way we can share all of the wonderful things our teachers and students are doing every day,” said Brian Drelick, the supervisor of STEM at High Point. Trust your students, encourage their engagement and provide a platform for their experience to be told. High Point’s ambassadors were invited by Amy Librizzi, the principal at Frankford Middle School in Branchville, to develop and present at the school’s Community Digital Citizenship Event. The event was intended to help students and parents understand today’s social media and the importance of a positive digital footprint. We accepted the invitation and planned six breakout session presentations with the help of Commonsense Media, targeting topics that would help the Frankford Middle School community shine online. • Digital Drama Unplugged—Facebook/Twitter: How can we de-escalate digital drama, so it doesn’t go too far? • Who Are You Online? —Insta/Finsta: What are the benefits and drawbacks of presenting yourself in different ways online? • The Power of Digital Footprints—Branding: What is a digital footprint, and what does yours convey? • My Social Media Life—Snapchat: How does social media affect our relationships? • Responding to Hate Speech—YouTube: How should you respond to online hate speech? • Social Media and Digital Footprints and Our Responsibilities—Other Apps: How does the use of social media affect our digital footprint? High Point students produced a video from the Community Digital Citizenship Event titled “Raising Today’s Digizens” that you can watch on YouTube at bit.ly/frankfordhighpoint. 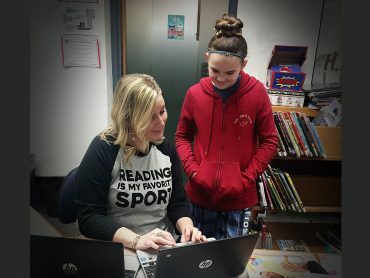 “The High Point social media program and its ambassadors have provided my school community not only their expertise but with a partnership, educating and modeling for my middle school students what exceptional digital citizenship is really about,” Librizzi said. 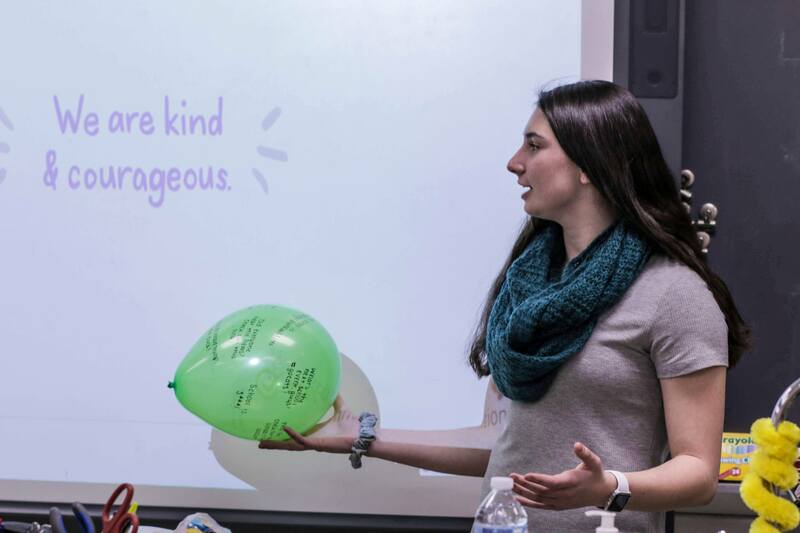 The event sparked so much interest that all Frankford Middle school sixth-graders will be attending a “Shine Online Mentor Day” held in High Point Regional High School’s Media Center. It will be presented by our Social Media Ambassador Program. The Social Media Ambassador Program is designed to empower students to think critically, behave safely, and participate responsibly in the digital world. High Point Principal Jon Tallamy facilitated an opportunity for the ambassadors to flip the learning experience and educate their teachers. At the March staff meeting, our 40 student social media ambassadors were paired off with staff members who wanted to expand their professional footprint using Twitter. So how is the program doing? Is it effective with the broader school community? All the social media platform analytics and feedback point in a positive direction, but if you want to see for yourself, I invite you to subscribe, follow and like us through @HPRwildcats. You can join the conversation and see what it’s all about. From the ambassadors’ and the staff’s perspective, there’s no question the program is working. You can learn more about our program from our training webpage and meet our ambassadors and see their handiwork here. Kevin Fenlon is a media technology teacher at High Point Regional High School in Sussex. He also serves as the district’s social media public relations adviser. He can be reached at kfenlon@hpregional.org. You’ll find him on Twitter at @kfenlon67. Note: The photos in this article were taken by Elyse Kiel, a senior at High Point Regional High School.